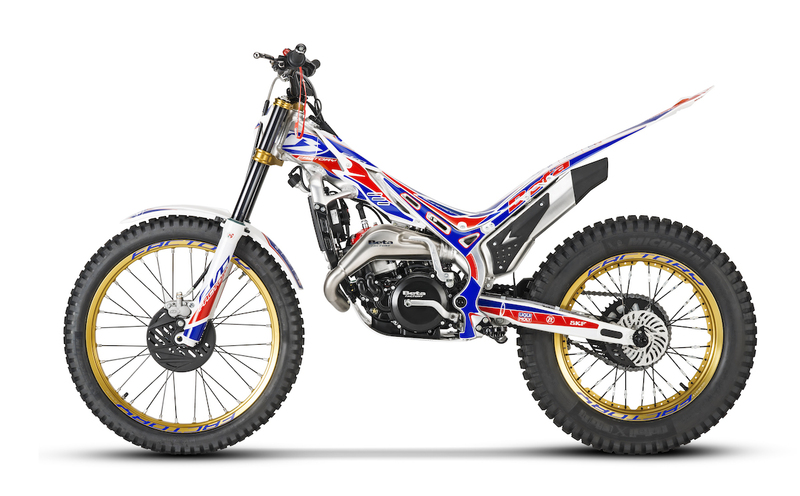 The new 2019 Evo Factory models will hit the market with a perfectly styled racing look and special components that make it a must for trial riders who want to tackle the race season with the best that Beta has to offer. There are three 2-stroke versions (125, 250 and 300 cc) and a 4-stroke version (300 cc), all of which have undergone meticulous technical development to make the bikes even better than the prior models. 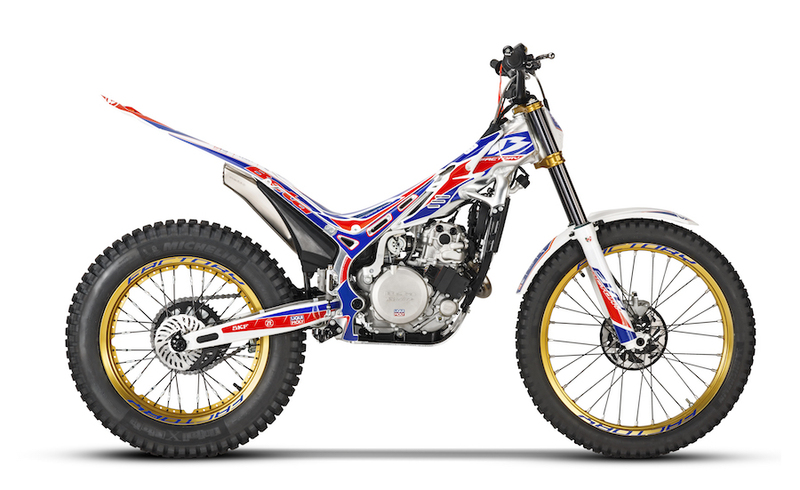 Beta, Italy’s only trial bike manufacturer and the undisputed global market leader, provides an engine with a distinctly “racing” character that, together with the first-class chassis set-up, provides ultra-high performance without diminishing the fun factor. Compared to the standard version, the Evo Factory models stand out due to the following features.